Fast and fun to crochet hat pattern, free crochet hat video tutorial, crochet hat for women, kids. This crochet hat pattern is beginner friendly. This nice crochet hat made in double crochet stitches worked in rounds. Once you complete 5 rounds of hat`s crown continue and work 8 more rounds of the part that is between a crown and a body of a hat. Work alternating between a round of dc stitches made on the wrong side without increasing and a round worked on the right side with increasing stitches. Keep working until you reach the necessary measuring so then you can continue to crochet the body part working without increasing. 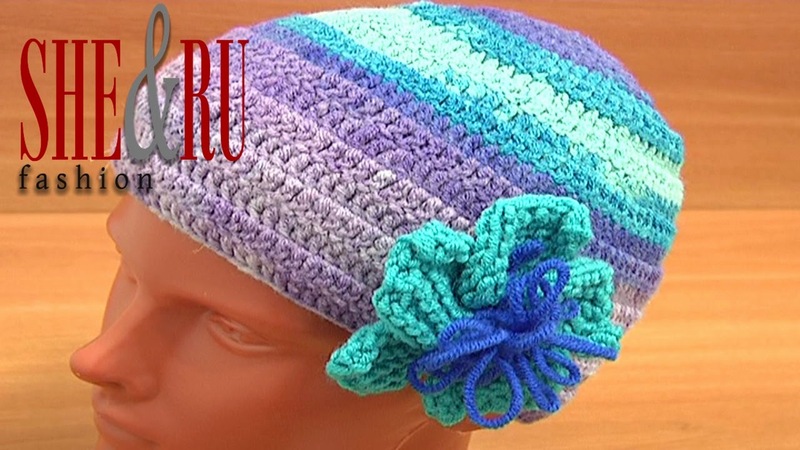 Follow the next part of the same tutorial to see how to complete this simple crochet hat. Thanks for watching!